You can find Simone here and here on Ravelry. Oh everywhere! Most of my inspiration comes from nature or at least the natural world around us. I love to hike and be outdoors and I am hugely inspired by that, including the feeling of a place and atmosphere that imbues certain landscapes. I try to capture that in the pattern and often allude to the inspiration in the description on the pattern page as well. Maybe we can coin a new term, but I'd say I am a non-discriminatory knitter! No, honestly, I do love knitting lace, but I also enjoy colorwork, and texture and plain stockinette. 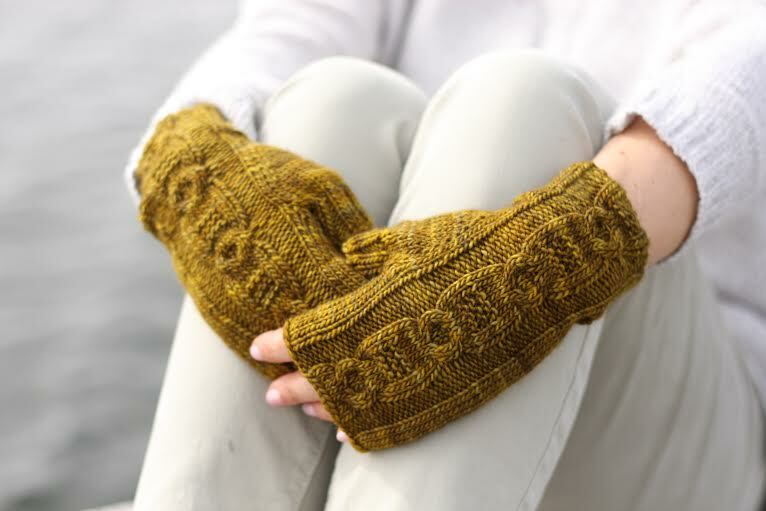 I have been knitting for over 30 years and still there are so many nifty things, so there is always something new to try or something new to learn, experiment with and un-vent. If I were forced doing one thing only, I'd get bored really quickly and so I tend to go in cycles through different techniques and project types. Well, in this world we are always interacting with other people and a lot of my online friends are other designers. This is perhaps more so because the work of a designer can be rather lonely, since we mostly lack the office environment and interaction with co-workers, I feel we make up for it by interacting in online communities or professional forums. No, I am not worried I'll be influenced by other designers, I have my own style and things I like to do. But that said, everything around us influences what we think and do and how we do it. I am sure you have noticed how at times a new fashion comes up and you think 'oh heck no! I'll never wear that, that looks awful' but then months go by and you keep seeing it and gradually you warm up to the idea, it could be a color combination or a style (I used to think that skinny jeans inside boots looked like Robin Hood, and now, yes, I admit, I do wear that myself at times and find it quite normal). So I am sure there are things that influence my style that I see others do, but I also know that certain things just aren't 'me', no mater how awesome they look on others or how popular they are. In recent years the trend has gone towards square and boxy styles for clothing pieces, and I simply cannot wear that. It takes a very specific body type to pull it off and I do not fall into that category. So I am not too tempted to try and design something along those lines, even though I admire and love the look of it on others. My style trends towards the more tailored, with a bit of retro thrown into the mix. 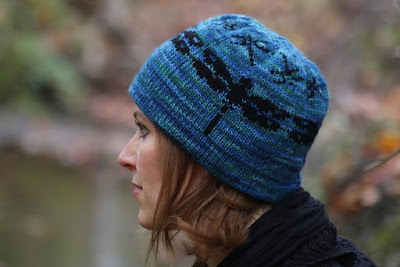 I have one fabulous sample knitter that I contract form time to time when I am overwhelmed, but I do not have anyone on my payroll, if that is what you mean. Mostly, I do knit everything myself. I only sporadically run test knits, since it is a time question for me and I trust that my very awesome tech editor is flagging everything for me to fix before the patterns go live. She can also make sure everything is congruent with my style sheet (a wee bit of information on how everything is handled, from abbreviations to what font size is used for what header) on top of checking the flow of the pattern and the math. Not at the very beginning, but yes I did. And now I do plan out my year and then break it down into months and by when I want to release which collection or single pattern. Of course not everything always goes as planned, and sometimes new priorities come up and things shift, but that is the fun in life, isn't it? And I feel that the structure I put in place at least gives me guidance as to what milestone I am reaching for next and let's me prioritize tasks. 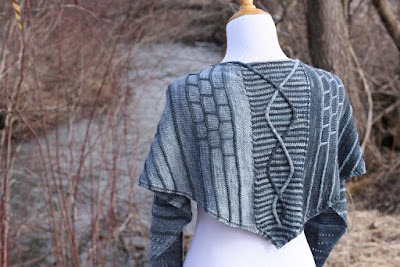 And sure, sometimes I just have to take a break or add something completely non planned when inspiration strikes, like right now I am knitting a Stopover cardigan while finishing up the tutorials for my Silk Road shawl club. Which is a funny story too, my editor had this idea of breaking the shawl club into two, and so I now have two 'paths' for my travelers on the Silk Road! The Explorer path is large designs, charted only and some quite intricate, the Wayfarer path is a bit more relaxed, all the patterns will be written as well as charted and it comes with a bunch of tutorials and teaching modules to help knitters acquire or improve their skills, like reading charts or beading. It's a lot of work, but it was a good challenge and just too much fun to pass up! Yes, definitely. I don't think that there is any way you can expect to produce a professional pattern without a good tech editor. Hmm, there are definitely times when there isn't all that much balance, lol. One example comes to mind where I had everything planned out but then life threw a wrench into my plans, that time it was the weather, all flights were cancelled and I had one day at home to get ready from one event to leave for the next. Well, that shrank down to 0 days and 3 hours and rental car drive in a tropical rain storm at 3 am. 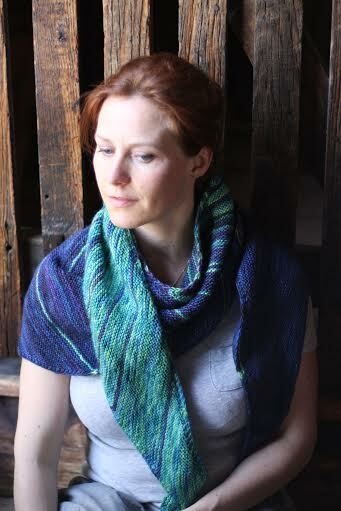 And the other more recent one was when I ran out of yarn way before I got to the end of the design I had planned. So I had to frog it all and start over after redesigning it, in that case it was a lot of marathon knitting and not too much life balance! I am really lucky in that I have a very supportive man in my life. He understands that since I am self employed at times I have to do things on the weekend or knit every evening till late into the night. I do try to not have that happen too often, if it can be helped at all! 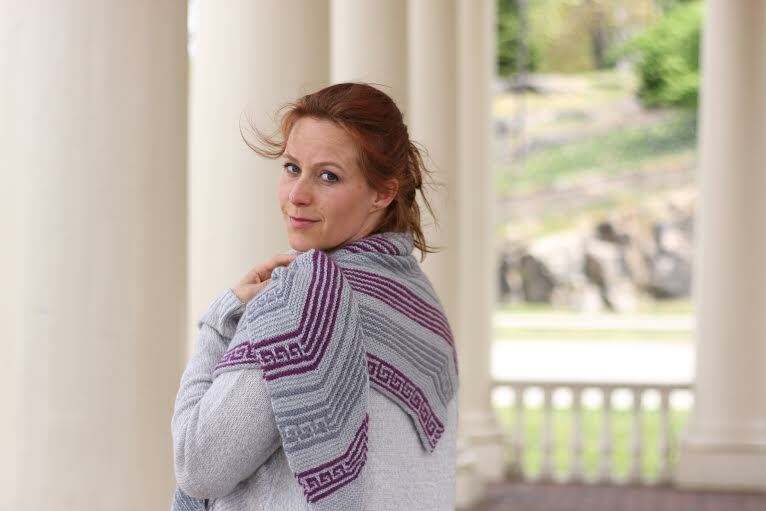 First off, being a knitwear designer is a lot more than sitting around knitting all day! Oh and it's not a rich quick scheme, a lot of work goes into creating a good knitting pattern. I spend countless hours behind the computer, crunching numbers, working on website stuff, directing and staging photo-shoots, or sourcing yarns. Also once you do it professionally, it's no longer a hobby and that can take the fun out of it for some so I try to break it up and knit for pleasure in between. 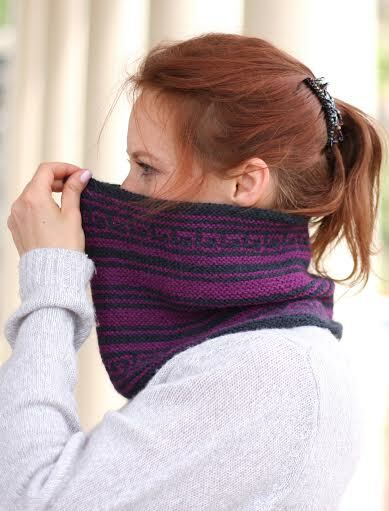 Also I want to strongly encourage folks who have any notion of pursuing a career in the hand knitting pattern industry to start it professionally. If you want to make money, you have to look at it like a business, and it's a business like any other and so there are going to be start up costs, even though they might be much smaller compared to most other businesses, after all there is rarely need to rent a space or start with a 7 team payroll. But if you can't afford paying for a tech editor, or software or are not willing to invest in professional services like photography if that is not a skill you have, I would urge folks to consider doing something else until the financial stability is there to start it right. My second thing is to expand back into the German speaking market. I am originally from Switzerland (I only moved to the US in my early twenties) and have spoken German all my life. 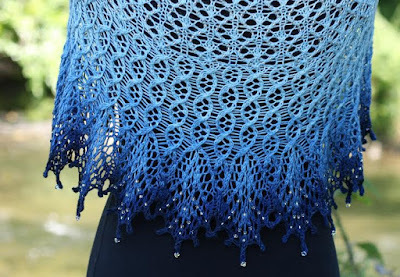 However, when I started writing knitting patterns, it was for the American or at least English speaking market and so most of my patterns are still only in English. There are a lot of knitting terms that do not translate nicely into German, and it's therefore a good bit of work to translate and create new terminology and also establish yourself as a bilingual designer. And on a less career focused level: I am hoping for lots of newly encouraged shawl knitters that have learned new skills from the Silk Road Wayfarer path! What an interesting and inspiring interview! It sounds like a wonderfully creative business and I could see one of my friends doing this. She has the talent but needs the courage.